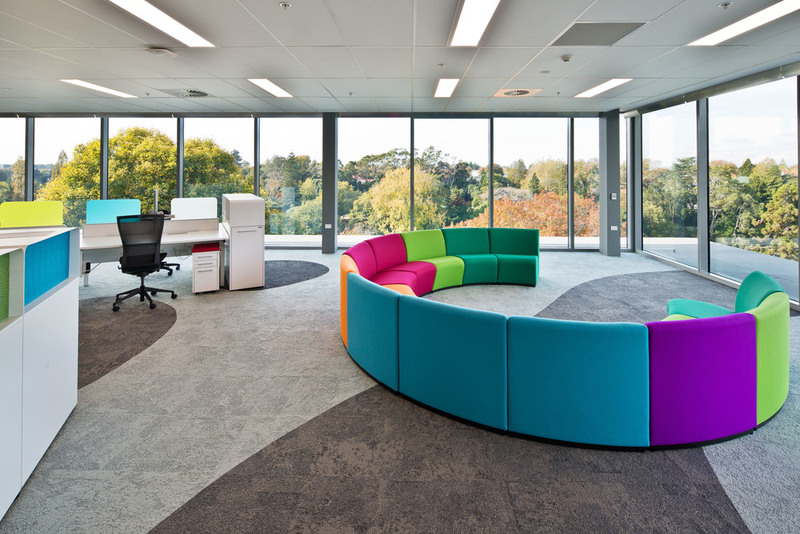 S&T has recently completed a fitout for Mighty River Power, one of New Zealand’s largest electricity companies. Staff had previously been housed in three separate buildings. 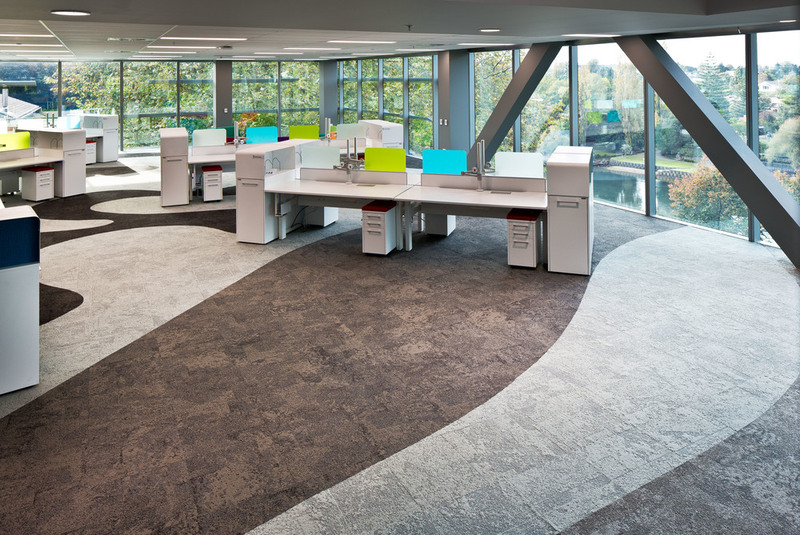 With the move, the company wanted to unify the staff and create a new, fresh working space which embodied the Mighty River Power brand. The new premises is located on the banks of the Waikato River, a fitting location for the company which creates a large percentage of its energy through hydro-electric sources. Designers took advantage of the expansive views and scenery and created a solution that blurred the boundaries between indoor and outdoor space. 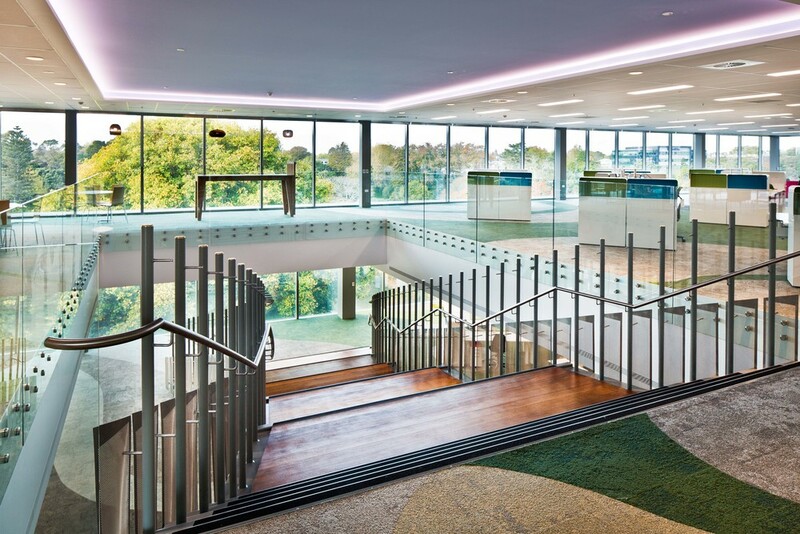 Two open-plan floors are connected by a generous staircase which is a centrepiece of the fitout - a grandstand the river and surrounding trees. On the upper floor in reception timber, edge grain floors contrast with cool, colour-backed glass walls, faceted to create changing reflections as you walk through the space, reminiscent of glistening water. 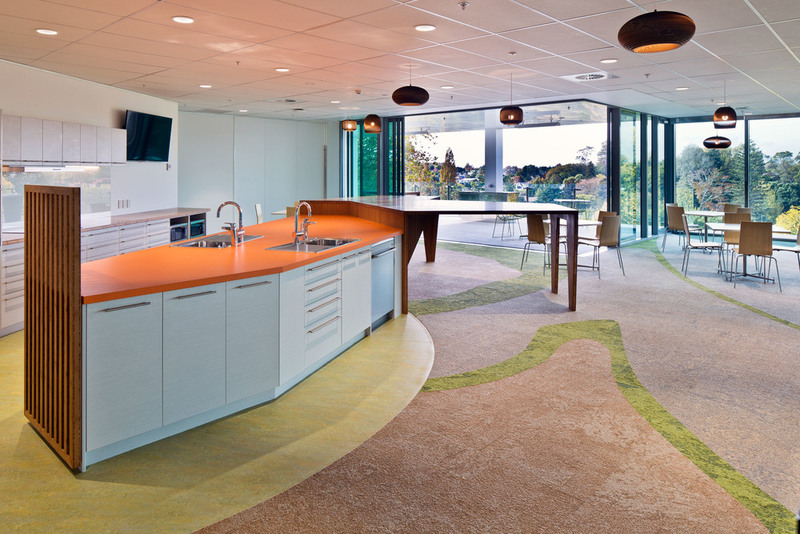 A large kitchen provides the link between reception, an outdoor deck and internal office space - all connected by sliding doors allowing for a level of security and visibility, without compromising light and openness. These spaces can all be opened into one large space by opening the doors for larger events if necessary. 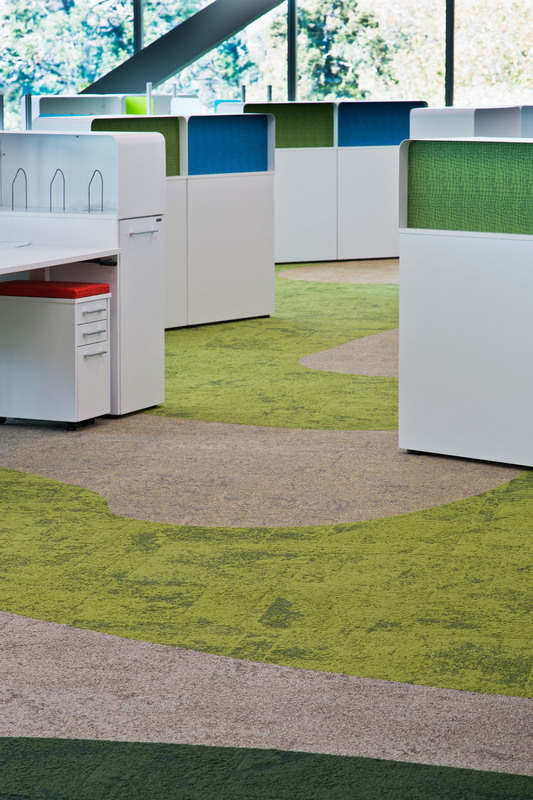 On the lower level, the open plan workspace is flexible, light and colourful. Desks are placed in a “swarm” arrangement – a loose arrangement which maximises space and allows for some degree of individuality and uniqueness. 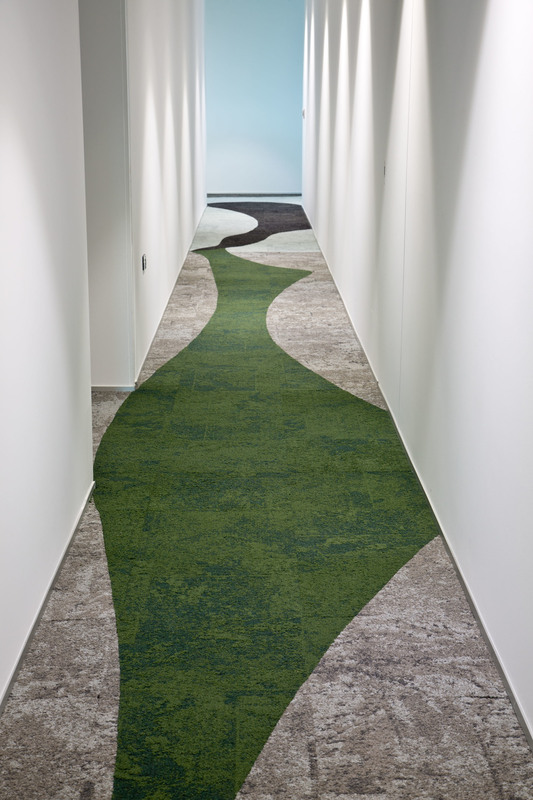 The carpet is a swirling vortex of geometries in green-blue and grey tones, like a swirling river. Three “communication crescents” are placed facing the river, offering space for informal meetings or social engagement. The floors are raised, offering easy movement of desks and access to cabling. 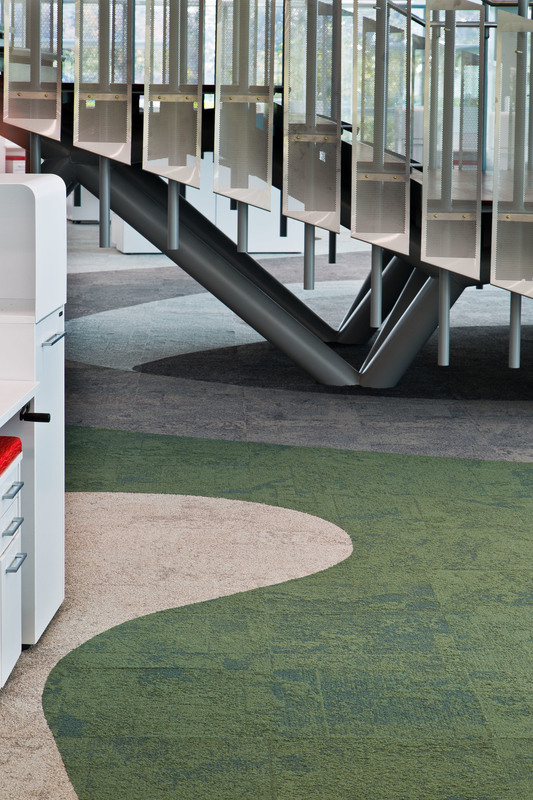 The result is a workspace which is open, flexible and efficient.